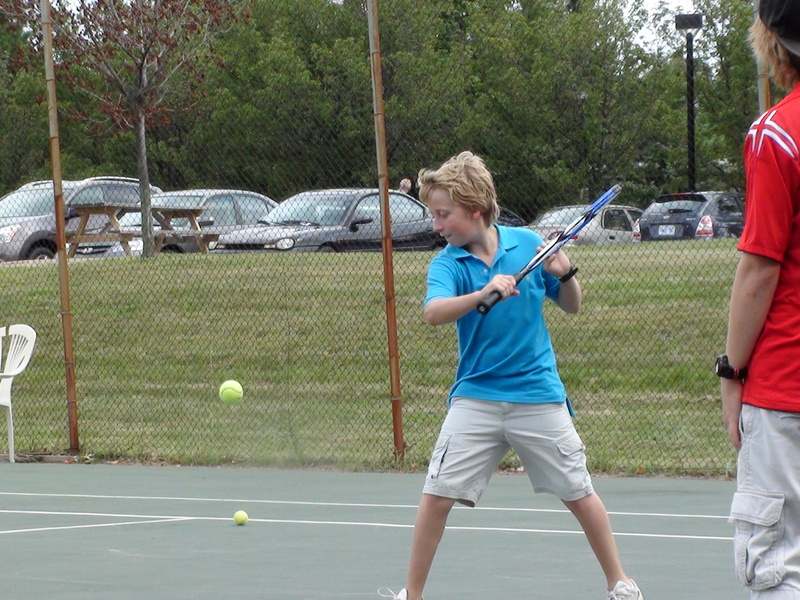 Monday, July 19 was the launch of the 3rd Annual Type 1 Diabetes Youth Sports Camp at York University. Dr. Michael Riddell started the Diabetes Camp in 2007 for active children and adolescents, ages 8-16, with type 1 diabetes and the numbers have grown from just 10 kids in 2007 to about 30 this year. The Diabetes Hope Foundation, Tracey Rubinoff Diabetes Hope Fund, and Medtronic Canada are all helping to support this initiative with York University’s Department of Sports and Recreation. The purpose of this camp is to give the opportunity to diabetic kids to excel in their favorite sport, along with non diabetic kids of similar age and sporting skill levels, as well as to help manage their condition through active living. This is done through an on-site clinical care team of nurses, physiologists and athletic therapists who work along side the exceptional coaching staff and varsity athletes. The kids with diabetes are encouraged to discuss their diabetes care with the on-site team and help is provided from athletes with diabetes who serve as diabetes councilors to assist with blood glucose monitoring and by sharing some of their own strategies on modifications to insulin and or carbohydrate intake. The kids have the opportunity to get together and share stories about active living with their diabetes. The sports offered this year include a focus on either basketball, track and field, soccer, or tennis and a free swim is offered every day from 2-3 in the varsity pool. 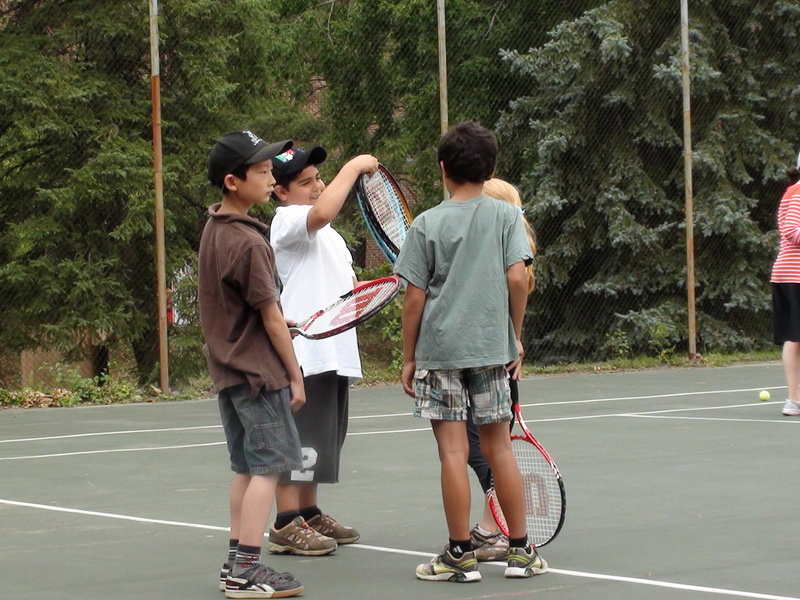 The first day of filming the camp for an upcoming KMb in Action story, the children had an opportunity to get acquainted with the sport of their choosing as well as with one another. The next day there was plenty of chatter and laughter as well as enthusiasm and eagerness to excel in their respective sports. 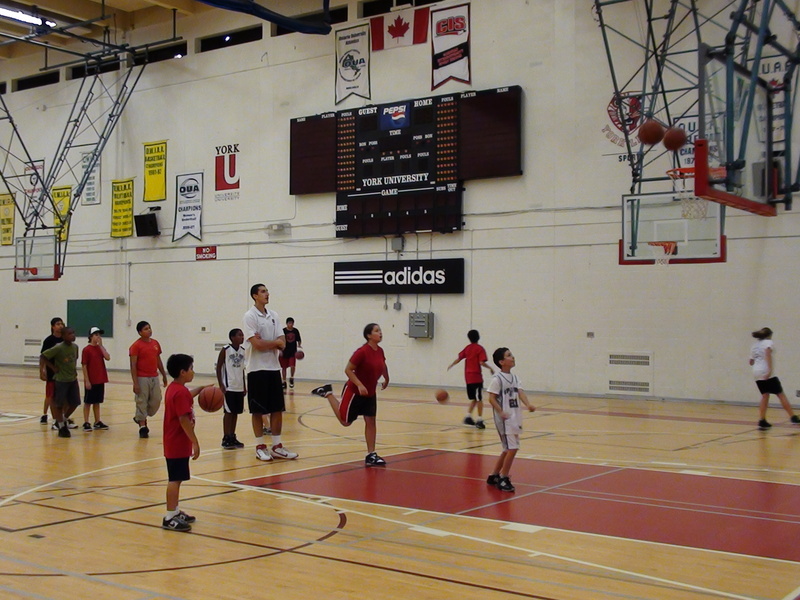 The kids get coached at university level by varsity athletes and special guests who also have diabetes. This perfect mix of excellent instruction in sports as well as instruction on management of diabetes informed by cutting edge research creates a really fun atmosphere for the children and makes for a great learning experience. Last year’s study looked at blood glucose levels and sports performance which is published now online at the International Journal of Pediatrics. This year’s study is using a special carbohydrate intake algorithm devised by Dr. Riddell and his research team (Jill Milliken and Dylan Kelly) to help prevent low blood sugar. For the remainder of the two weeks of the Diabetes Camp, the children’s blood glucose levels will be monitored in real time throughout the day, using the Medtronic GuardianRT, as they engage in various sports. Dr. Riddell hopes that the camp and experience of the children participating will help inform his research on diabetes and its impact on sports performance. This is a great example of knowledge mobilization and turning research into action. Stay tuned for more highlights in the coming weeks. Great start to the coverage of the Diabetes Camp! Also check out the Y File story that ran on Friday July 16. See the story at http://www.yorku.ca/yfile/archive/index.asp?Article=15190. This week has been exceptionally busy for us all. The campers are having a great time in all 3 camps. Basketball is busy with drills and games, tennis with a tournament and track & field with high jumping, javelin, triple jump and other things that I can not do! Our research team has been collecting data on glucose levels and testing our new algorithm to limit hypoglycemia. Every camper has had minor hypo events that were largely ameliorated with Dextrose tablets. We have learned that most campers need about a 20% reduction in basal insulin infusions. Next week, we are adding the soccer camp and all of our research team will be back in action. The first week was a lot of fun and went very smoothly . Hopefully in the coming week we will be able to gather more useful information using the Medtronic GuardianRT’s.